GRID-Arendal and Blue Climate Solutions today unveiled the redesigned ‘Blue Carbon Portal’, the world’s premier comprehensive community-based website for all matters related to blue carbon. Blue carbon is a concept that advances the sustainable management of coastal marine ecosystems that store and sequester atmospheric carbon, thereby helping to mitigate climate change. Blue carbon ecosystems include mangrove forests, seagrass meadows, and saltwater marshes also important for the vital ecosystem services they provide, such as coastal fisheries, shoreline protection, related eco-tourism and the conservation of marine biodiversity. 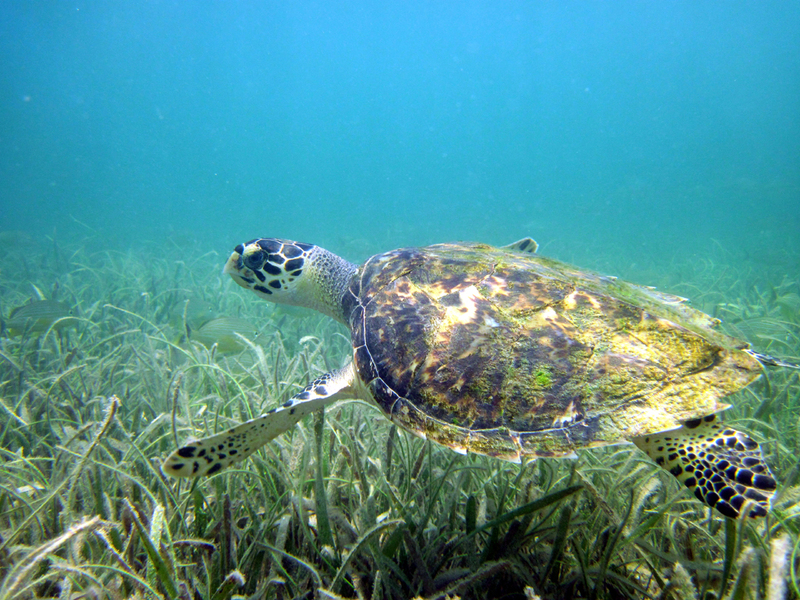 Seargass meadows can store carbon and thereby help mitigate climate change, while serving as important habitat for many marine species such as this endangered sea turtle (Credit: Steven J Lutz). The Blue Carbon Portal continues its support the rapidly growing blue carbon community and international efforts such as the United Nations Environment Programme’s (UNEP) Blue Carbon Initiative. It provides a virtual space to increase transparency and accessibility of information, helping initiatives to connect, share ideas and resources. A directory of blue carbon initiatives.